Gentle pressure is applied to specific areas of the feet to stimulate the corresponding organs, glands and structures. Energy then flows more freely throughout the body and activates the healing process. Reflexology can be successfully used to support the treatment of many illnesses and conditions. 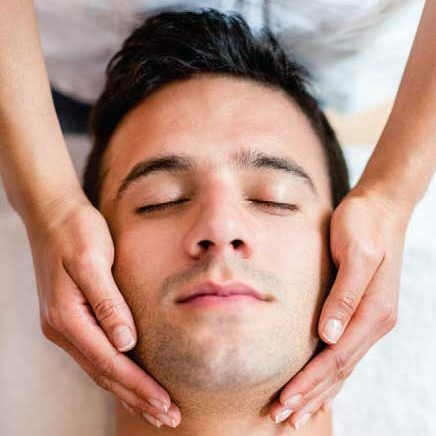 Facial Reflexology delivers a powerful healing potential but with the added benefit that it beautifies as it heals. It removes facial tension caused by the stresses of the day and restores a healthy, youthful glow to the skins. It firms facial muscles and reduces or prevents fine wrinkles and expression lines. It activates lymphatic drainage, eliminates toxins and reduces under-eye puffiness. The procedure encourages the production of collagen leaving the skin looking more youthful. With the recipient seated or lying down and fully clothed, the practitioner’s hands are placed on or above the energy centres and pathways on the head, neck, shoulders, upper chest, abdomen, legs and feet. 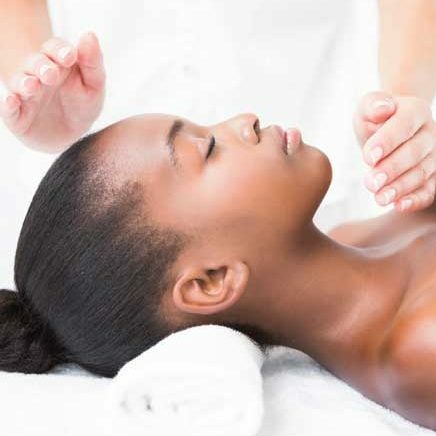 A Reiki session induces a state of deep relaxation and creates a feeling of inner calm, contentment and serenity. It helps with many psychological and physical conditions through the stimulation of points on the face, scalp, ears, hands and feet – either singly or in combination. It is a treatment that uses very fine, short needles and can be delivered without removing clothing (other than shoes and socks). 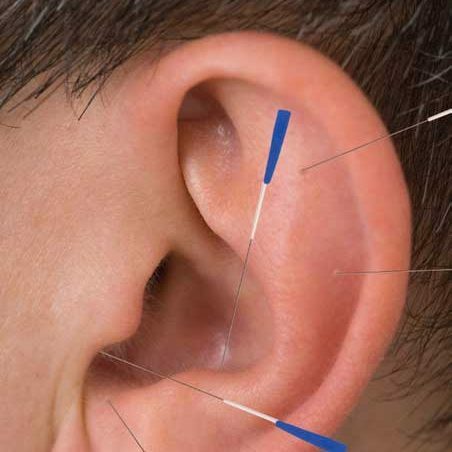 Micro-system acupuncture is widely used in the treatment of addictions – food, nicotine, alcohol – and in weight control. 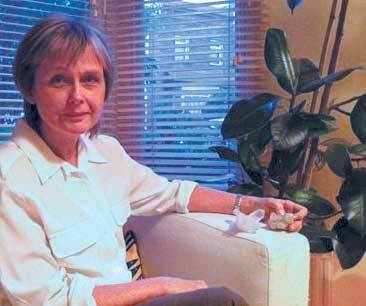 I first went to see Karen for Reiki treatment just a week after my husband died from cancer. I knew I needed extra support at that time, especially as I had a history of Chronic Fatigue Syndrome and there was a danger of relapse. Often deep feelings of grief would come up during a session, which was a way of processing them safely. Now, three months after my husband’s death, I feel I sure would not have been able to manage so well without Karen’s support. KAREN RYX M.A.R is a dedicated Integrated Health Practitioner who has been successfully helping clients for over fifteen years. She is a member of the Association of Reflexologists, a Reiki Master and Teacher in the Reiki Usui Method and a Yuan College of Traditional Medicine accredited microsystem acupuncturist.